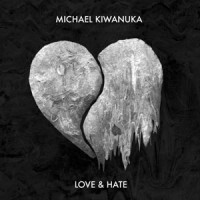 Soulful and raw, Londoner Michael Kiwanuka’s critically-acclaimed debut album ‘Home Again’ (April 2012) staked his claim on the list of great British singer-songwriters. Having taken a deep breath and relaxed into his musical approach, Kiwanuka is back, and has delivered his eagerly anticipated second album - and it packs a powerful punch. 'Love & Hate', produced by Danger Mouse, Inflo and Paul Butler, is an outward-looking, drenched with emotional density and rich, soulful production at the helm. Two years in the making, the British Ugandan Londoner has worked with new talent and created a canvas which sees his vulnerability take centre stage. Honest, unabashed, and ambitious, this is Kiwanuka proving that he is ready to secure his position as one of our most exciting homegrown talents. It’s a new world since his debut, and it seems that it’s his for the taking.